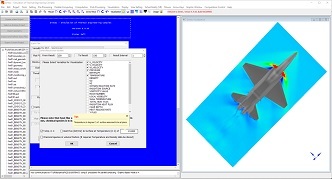 Simtec (Simulation of Thermal Engineering Complex) is a well validated, comprehensive CFD (Computational Fluid Dynamics) software package, with GUI (Graphical User Interface), integrated pre-processor and post processor. It allows you to compute and analyze with confidence the fluid flow, heat transfer, mass transfer and combustion in various thermal engineering systems, which can be isothermal or non-isothermal, with combustion or without combustion, subsonic or supersonic, in applications such as conventional fires, explosions, furnace combustion, HVAC (Heating, Ventilation, and Air Conditioning), heat dissipation in energy devices, and spontaneous ignition fires in porous media, etc. The software package provides you the tool to efficiently design and optimize your new systems and to analyze and improve your existing systems. Simtec is based advanced models and robust numerical solution algorithm. 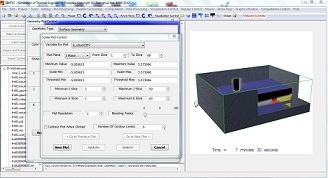 The advanced models form the base for the reliable simulation results. The robust numerical solution algorithm makes the simulation faster, saves project time and cost. It also provides the great flexibility and capability to deal with challenging situations which otherwise can be very difficult, if not impossible, to handle. Simtec also comes with GUI (Graphical User Interface), integrated pre-processor and post processor. The GUI makes the software usage intuitive. The integrated pre-processor, including 3D CAD geometry import, speeds up the process of building up the simulation model. The very powerful post-processor makes it very easy and convenient for you to extract and display the wanted result data, create various high quality visualizations and animations.